So far mriadmin has created 4 blog entries. A special thank you to everyone who's contributed towards our final winter project of 2017. Big smiles from our Jacki!! MRI has secured enough milk for needy families for all of 2018! This milk will be going to poor and needy families.  Medical Relief International (MRI) is proud to announce the launch of our 3 flag-ship campaigns which aim to make the world a better place.